A well built 90’s house needed a few finishing touches to imprint some character of the owners and add comfort and practicality. I designed a mosaic fireplace, found a glass artist for the stained glass, and designed an eating nook complete with custom table. 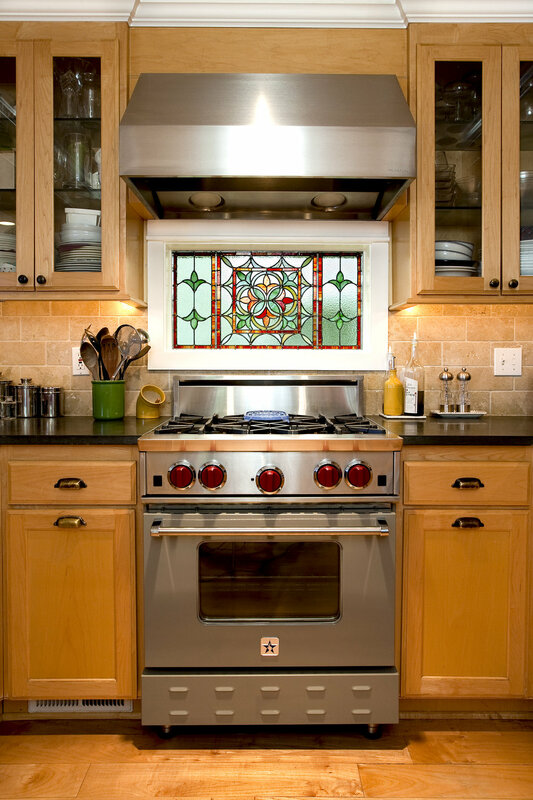 Above the range, a bay window looked out over an uninteresting view so found a talented glass artist to design a window which blocked the view but not the light. I redesigned the attic to make an organized office for two away from the family bustle.